B&K Precision's Model 2522B is one of the lowest cost digital storage / analog oscilloscopes in the industry, yet it includes all the basic features needed by most technicians and engineers. Unlike other digital oscilloscopes, it has a full analog mode with infinite resolution. Digital storage modes include refresh, roll, and single sweep. Equivalent time storage techniques allow storage of repetitive waveforms up to 20 MHz. 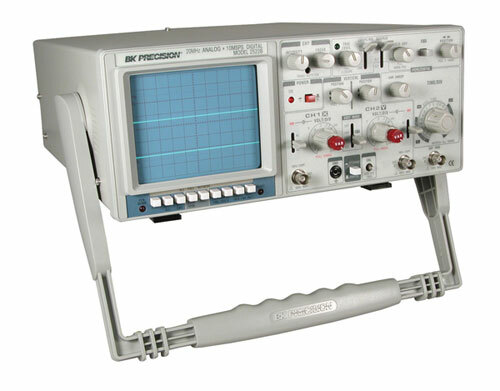 This oscilloscope is built by and backed by B&K Precision, a company that has been selling reliable, durable, value priced test instruments for over 50 years.